Fresh from the development studios of Net Entertainment is this online slot machine based on the adventures of Hansel & Gretel, the Grimm Brothers’ tale of siblings captured by an evil witch who lives in a gingerbread house. It’s joins Red Riding Hood as part of Net Ent’s Fairytale Legends series of games and it’s packed full of bonus features. Hansel & Gretel is a five reel slot with three rows and twenty fixed paylines; the large symbols spin on transparent reels behind which there’s a hazy, dreamy forest scene with Hansel & Gretel watching over the action from either side. There are only three high value symbols – the game’s logo, Hansel & Gretel – while the lower values are red, yellow, green and purple stones. Wins can be formed anywhere on the reels in this game as long as there are three symbols in a row. 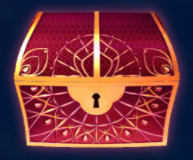 There’s no wild symbol in the base game but there is a treasure chest bonus icon which activates one of the main features. Candy House Bonus – pick three of the fifteen candies to reveal three unseen multiplier values between 1.2x and 120x the total bet; now you can accept the average of the three values or just pick one. Free Spins – awards ten free spins which can be retriggered by landing one, two or three chests for two, four or ten spins respectively. A stacked wild which covers an entire reel will award a respin with that wild frozen in place. Coin Win – a coin win of 15x your total bet. If a stacked wild covers reels two or four in the base game you’ll receive a free respin with that wild frozen in place; the feature repeats if another stacked wild lands on the respin. Fairy Wonder Spin – a group of between five and nine game logo symbols appears, starting from reels one. two or three to help you out with a big win. 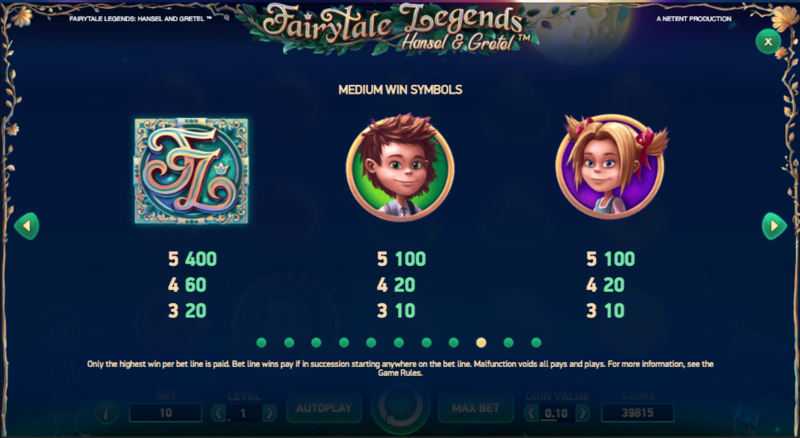 Fairy Surprise – awarded randomly after a non-winning spin and one symbol on the reels will be selected; other symbols starting from the lowest values will turn into that one until a win is formed. 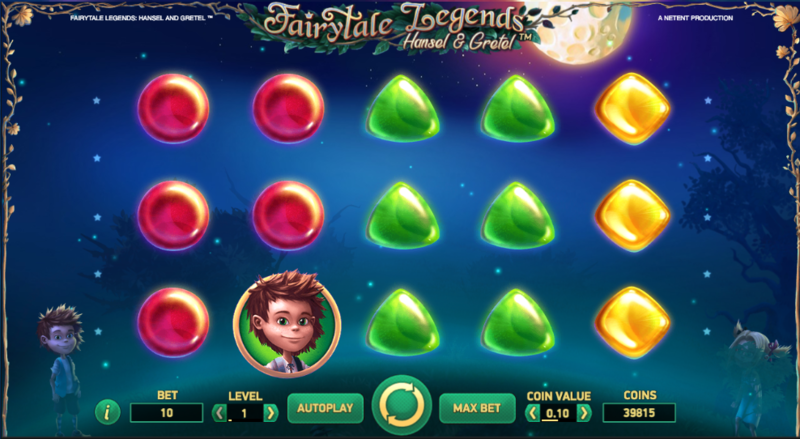 Fairy Wild Spin – two stacks of wild symbols can appear on reels one, two, four and five; after any payouts a wild respin is awarded. Hansel & Gretel easily lives up to Net Ent’s high standards – it looks great, it’s atmospheric and it comes with loads of potentially lucrative bonus features to enjoy. It comes with an RTP of 96.72% and is definitely worth a pop.